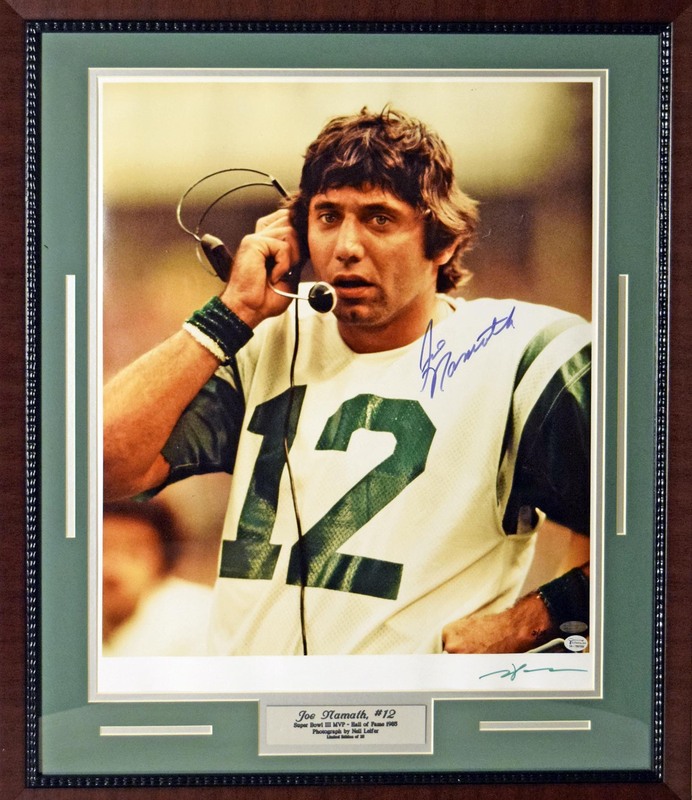 Fine pair of matched Joe Namath signed 16x20 images, these look great. Each image is signed in bold sharpie ink in the center. One has a Steiner LOA, the other a Mounted Memories. Each is framed to 22x26.